As someone who's only been to the beautiful city of Berlin once, I'm by no means an expert at all of the best things to do in Berlin, but with hundreds (yes, literally hundreds) of museums, galleries and venues, even if you'd been there for years I still don't think you'd know all of the places to visit in Berlin. When asked about my trip I took back in 2015, I always say "you could spend a month there and still not get everything ticked off your list" and it's true. 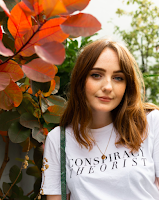 Me and Beth (my bestie and outfit photographer) spent three nights in Berlin, in the cutest little Air BnB in Mitte, kind of a 'hip' neighbourhood not far from the city centre. With places to stay being quite cheap, a load of cute independent businesses, including bakeries, and being located within walking distance of Brandenburg Gate, I'd say Mitte might be the best area to stay in Berlin. Possibly my favourite part of Mitte was Augustraße, a lovely street with something to do and see every few steps. Personal highlights include the pet shop with resident pugs and book and magazine shop Do You Read Me?. Me and Beth must have spent a good hour in here checking out all the rare finds, coming out with a limited edition of 1984 and Ponytale mag. 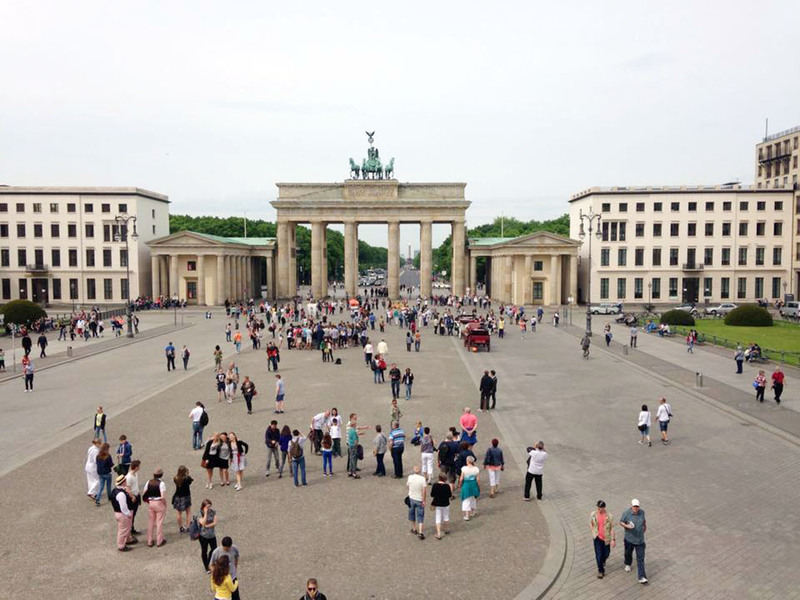 Brandenburg gate is possibly the best known Berlin landmark, making it one of the best things to do in Berlin. You've got the obligatory gate selfie, and when we went, there was even a viewing platform you could climb to get just the right shot for the 'gram. One side of Brandenburg gate you have Tiergarten, which includes Berlin zoo, and on the other, you have one big, giant road to Alexanderplatz. With the trains there being pretty cheap, you might be tempted to hop on and just get off at Alexanderplatz for a trip up the TV tower, but if you can, walk it. 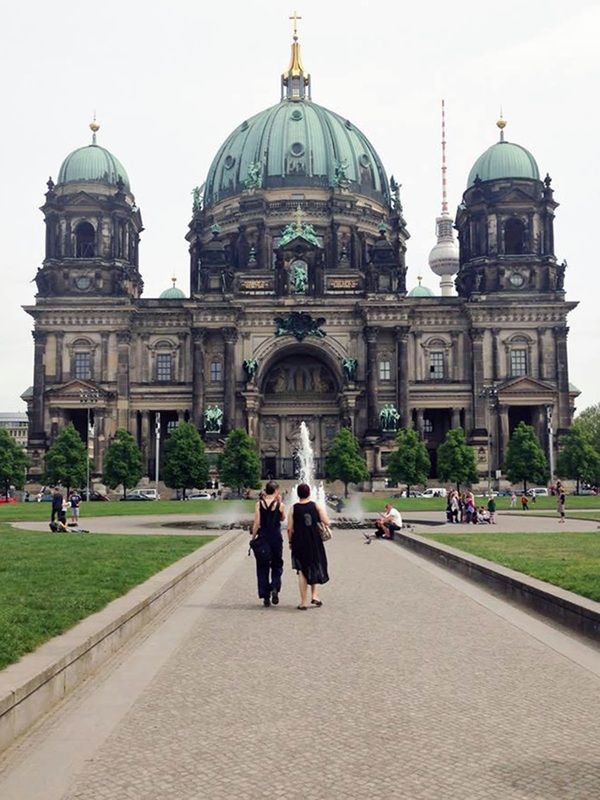 Luckily it was nice and sunny during our trip, which meant we got to wander down the road for hours, finding the Berlin cathedral along the way, which has to be one of the most beautiful buildings I've ever seen in my life. Don't be afraid to go off the main road a little, too. We found some great buildings and street art from taking the back streets. 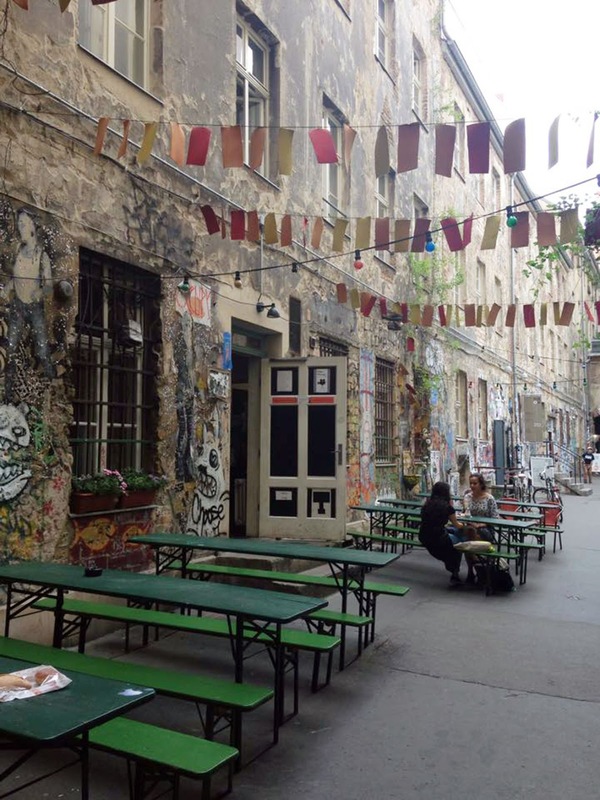 Speaking of street art, Berlin is known as one of the best places in the world for it, and for good reason. Around each and every corner is something cool, thought provoking, or sometimes down right weird. Remember to take your time, look up, and always have your camera at the ready. You'll be Instagramming pretty much the whole time you're there, I promise. And of course, you can't snap street art in Berlin without visiting the Berlin wall. This is a perfect example of history and art coming together, and Berlin is without a doubt one of the best cities in the world for anyone who is interested in history or art to visit. Reading the stories of those who suffered whilst the wall was up brought us to tears, but seeing the positive messages sprawled across the wall left us with hope. The East Side Gallery (the bit with all the colourful murals) genuinely has a positive, loving vibe to it. Everybody is smiling, offering to take pictures for one another, and speaking to strangers. 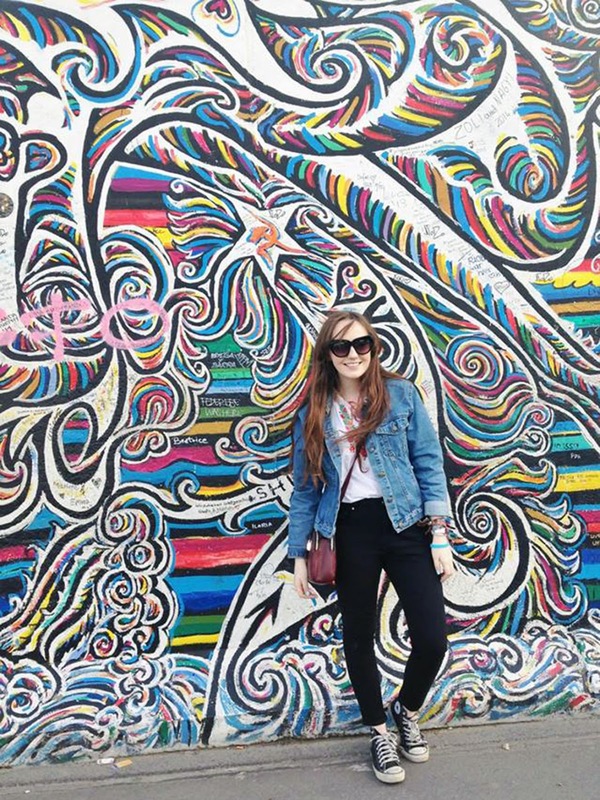 Visiting the Berlin wall is definitely one of the best things to do in Berlin. For a city with such a rich and troubled history, there's no shortage of museums and historical landmarks, as you can imagine. In fact, there's so many museums in Berlin, they have what's known as 'museum island' and there's an awful lot left for me to tick off my list when I go back. 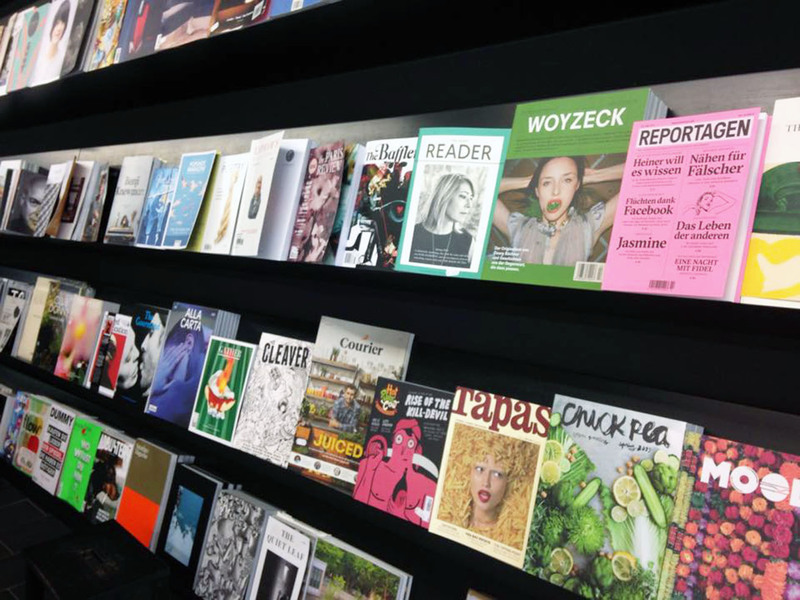 Those we did get to go to are the Bauhaus Archiv (hello, fashion graduate), The Story of Berlin museum, Checkpoint Charlie and Sachsenhausen concentration camp. To get to Sachsenhausen, you need to take a train to Oranienburg and then get a bus, but if you can, I'd definitely recommend taking the time to go. Words can't explain what you'll see or what you'll learn about, but it's amazing to see how Berlin has evolved over the past seven decades to become the beautiful, creative and welcoming city that it is now. Being a city so full of history and creativity, it's not hard to see why Berlin is such a popular place for city break holidays. 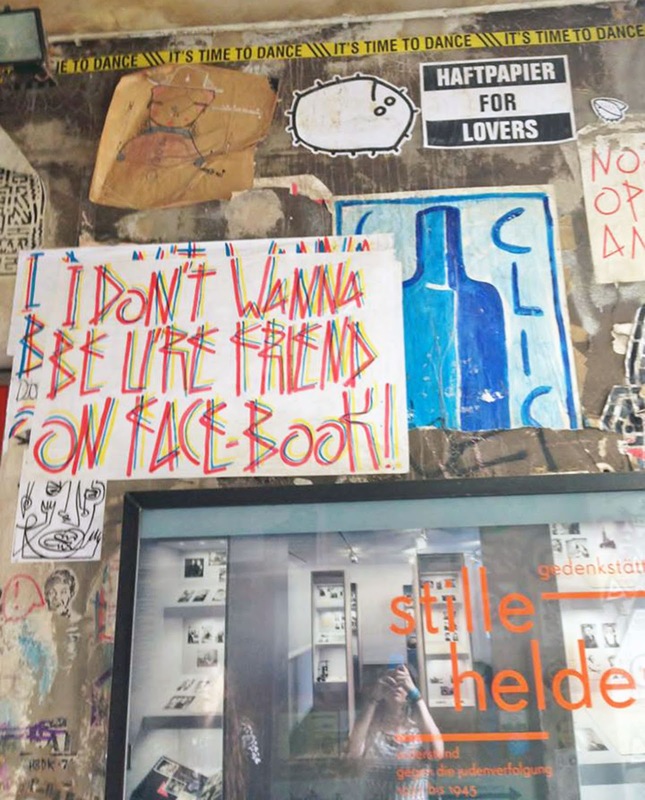 Plus, when we visited at least, we found it to be one of the cheapest places we've ever visited, meaning you can pay Berlin a weekend visit even if your budget isn't as big as you might like. To find flights, use Liverpool John Lennon Airport's skyscanner to find the best prices from Liverpool to Berlin, and make sure to check out LJLA's guide to Berlin for even more information on the best things to do in Berlin - I did warn you, there's a lot of them - and handy information on how to get there and when to go. They also have loads more guides to cities across Europe which are seriously stirring up my wanderlust.. Which city are you planning to visit next? *This is a sponsored post. All views and content are my own (apart from a few pictures Beth let me use). Berlin is on my list of places to go and this has made me want to go so bad!